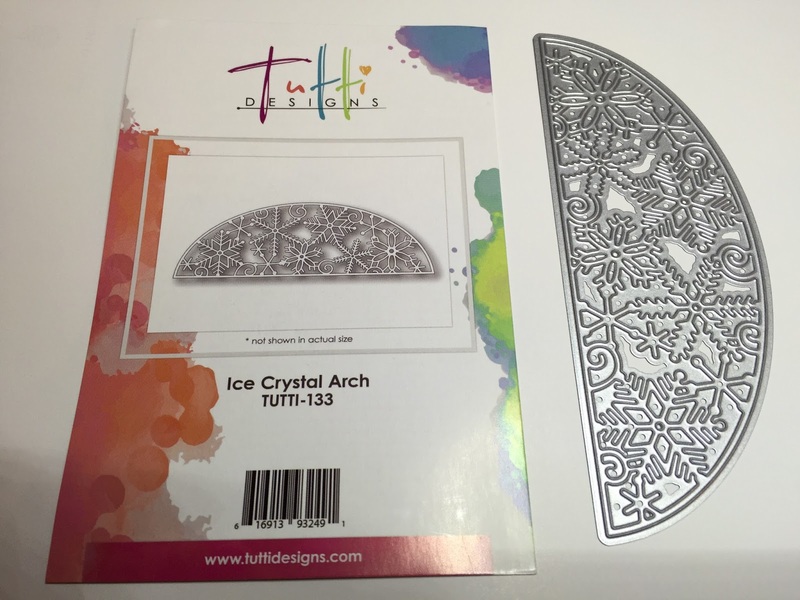 Tutti Designs: Tutti Designs - Ice Crystal Arch, White and Gold Elegance. 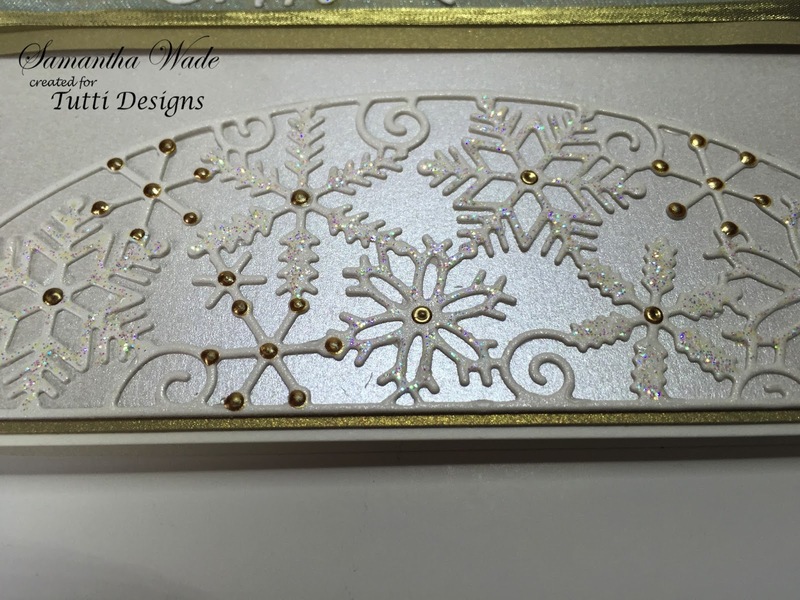 Tutti Designs - Ice Crystal Arch, White and Gold Elegance. Today is Ice Crystal Arch, TUTTI-133. This really is a beautiful die. 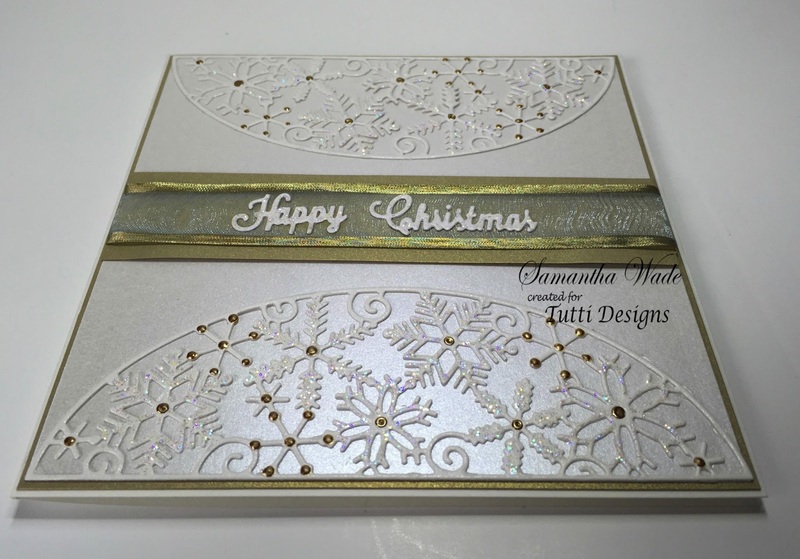 Its been cut out twice in white pearl card and highlighted with glitter and gold liquid pearls. A simple card with two die cut arches, decorated. 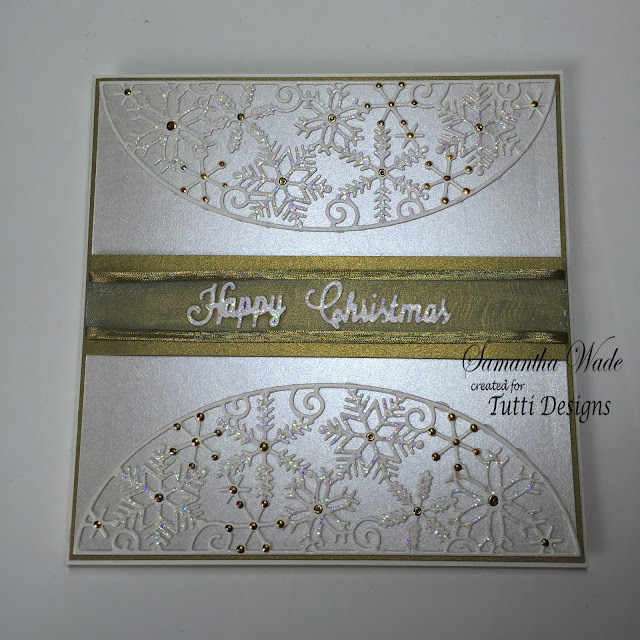 Gold card, ribbon and christmas greeting.